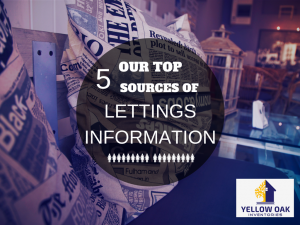 At Yellowoak Inventories we always strive to keep you in the loop and fully informed on all the latest legislation changes, which are relevant to you as a landlord in England or Wales. 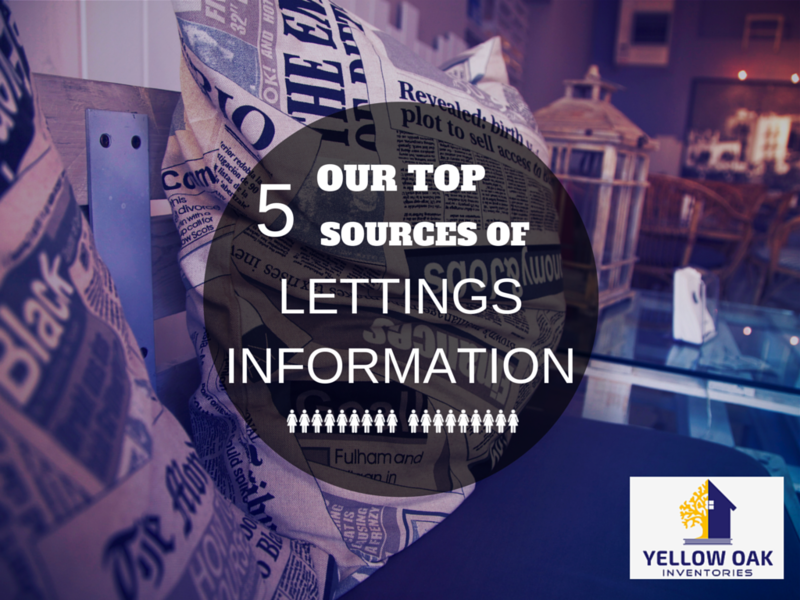 However, we also acknowledge that there are some great websites out there who also provide great content; therefore we wanted to take this opportunity to introduce you to our Top 5 Sources of Lettings Information. Property Tribes is the UK’s busiest landlord and investor community, where you can access discussion forums and share your property issues, ideas, strategies and much more all in one place. It’s free to sign up to and use once you’ve read and agreed to the site rules. For example, here is a post on Yellowoak Inventories in their forum: *Property inventories and mid-term property inspections with Yellow Oak Inventories. As you can see, this began life as a helpful tips video and then turned into an interesting discussion thread about the importance of avoiding cutting corners when carrying out your inventory. This year marked the 4th annual SAFEagent awareness week, where over 3,000 professional letting agents united together to generate awareness on how vital it is to choose a lettings and management agent who is part of a Client Money Protection (CMP) Scheme. We fully understand the importance for our clients being made aware that we are trained to the highest possible standard, conforming to a strict code of conduct and this is why we are full certified members of the APIP and AIIC. (Association of Independent Inventory Clerks & Association of Professional Inventory Providers.) Therefore we welcome any official form of ‘endorsement’ in the lettings industry, which is how SAFEAgent provides landlords and tenants with peace of mind that the money they’ve paid in deposits and rent to their agent is fully protected. So those letting agents who display the SAFEagent logo show that they’re part of an approved CMP scheme, which ensures that they are protecting their clients monies correctly. Landlord Law enters its 14th year online this year, written and run by landlord and tenant lawyer Tessa Shepperson. They also run training courses and do their utmost to educate landlords on what can be quite complicated housing laws and rules to get your head around. Property Industry Eye is dedicated to the publication of independent, unbiased, factual and accurate news reporting of matters of interest to those working in the UK property market and beyond. As well as news topics, they also provide a public forum discussion to debate topics of the day and a vehicle for service provides to reach their markets. Accessing a combination of these blogs will provide you with no end of insight, information and food for thought on the latest lettings issues, offers and advice from a whole host of trustworthy experts from the UK lettings industry. All of these websites primarily seek to educate landlords and others within the lettings industry, and we personally applaud them and hope that they carry on doing so!